"Bringing nature into the classroom can kindle a fascination and passion for the diversity of life on earth and can motivate a sense of responsibility to safeguard it." From pet care workshops through to animal career days for senior secondary, we tailor the experience to your topic or area of interest. Popular themes include animal diversity and animal groups, animal art classes, creative writing, endangered animals and responsible pet-keeping. We cover these topics in depth with your seniors - this is not a 'little kids petting zoo' so don't leave out the older children as they will actually benefit the most. All our workshops have a high level of student involvement, and clear learning outcomes. 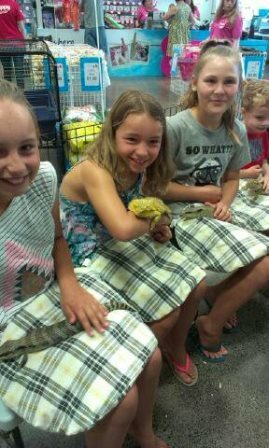 With both popular pets and exotic animals, students love learning with us. Curriculum friendly, interactive, and fun! So engaging and flows nicely to keep them entertained and engrossed! We did some cool writing about the experience and have been making habitats in our class"! Take a trip through the animal kingdom from invertebrates through fish, amphibians, reptiles, birds and mammals, all with real 'live' representatives. Learn about animal adaptations and survival strategies. Look, touch, and learn! Students create animal habitats meeting the needs of pets and consider the challenges of captivity. Hands-on fun and learning with traditional pets as well as lizards, tortoises, chinchillas and more. Includes dog safety message and training demonstration with our talented pups. Learn why animals become endangered, how to play your part and what's being done to protect animals worldwide. See and touch examples of animals that are endangered in the wild. An informative workshop taught age appropriately at all levels with lots of animal involvement from our creatures. Animals are inspiring! From stories and reflections to works of art, we bring a range of pets and exotic creatures to bring out every child's creativity. We operate from the school hall or a spare classroom and run an hour session with consecutive classes (up to 25 children). From just $175 + gst per session with a minimum of 3 classes. Alternatively choose our cost saving option of larger groups (2 classes up to 55) for 45 minute sessions. This option does not include handling due to the large number of children, however, there will be some interaction and it is still a special experience with lots of information and animals to see close up. 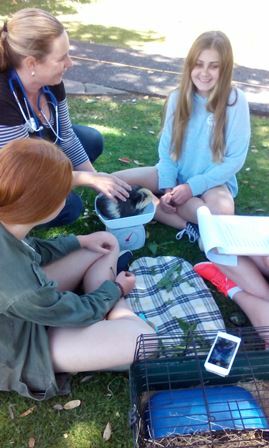 An overview of career options working with animals and practical activities around care and handling of a number of species. 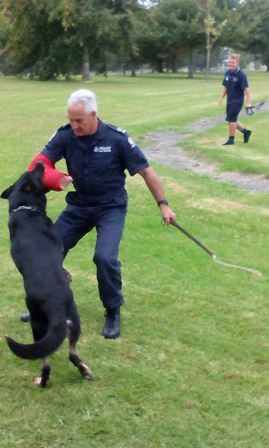 Guest speakers regularly attend such as the NZ Police Dog Section, Unitech, NZ Customs Dogs, Veterinary professionals and more. Our next STAR course will be March/April 2019. Government funding may be available through your school Careers office. ZooVentures visits early childhood centres on the Hibiscus Coast and North Shore with fun and engaging workshops for children. Kindness, empathy, and respect for animals is our central theme for EC visits. Small pets and exotic creatures can be easily hurt by squeezing or dropping and for this reason we cater for your 3 years and up, with no under or 'almost' 3s. This is a strict rule for animal welfare reasons. If you run a holiday program, we can come to you! No travel to organise and hands-on learning and fun for the children. We visit many community-based holiday programmes, and shopping centres where there is a quiet area for the animal display and activities. October 2018 holidays fully booked. Bookings are being taken for Christmas/Summer hols. From family gatherings through to corporate fun days, store openings, and community events, we provide a fascinating animal display, and the opportunity for visitors to your event to get up close with an amazing range of weird and wonderful creatures. (Please note that vehicle access close to the set-up area is essential). "What a fab day and it was made all the better for having you along! You made it all very easy for us, it was an absolute pleasure having you there. We all decided pretty quickly that we would love to have you back for next year"
We love bringing or animal collection to retirement villages. Residents are able to handle many of the animals and we share their stories and what makes each one special. We normally visit for an hour and can operate indoors or out. ZooVentures is also a great drawcard for family days. Our animals have appeared on Good Morning, Breakfast, The Cafe, Chinese Television and in print and film advertising. Please contact us for more information. Sally has written extensively on a range of animal topics for magazines and the NZ Herald, and is available for editorial contributions and opinion pieces.